It's no secret, I love the Hoo's Sweet collection from SEI...I just can't get enough of it! It features owls in the majority of the collection but it also has a bit of floral mixed in which is nice. 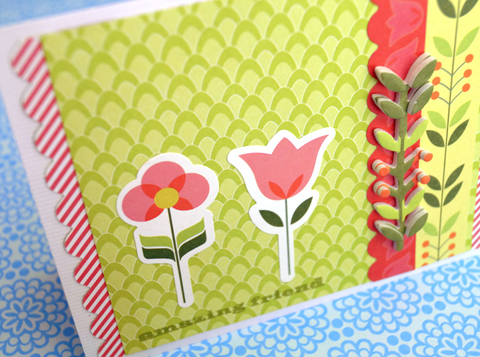 I used some scraps from a previous project and created this sweet little card using some of the stickers and patterned papers from the collection. I think it's a cheerful greeting that anyone would enjoy getting in the mail don't you? 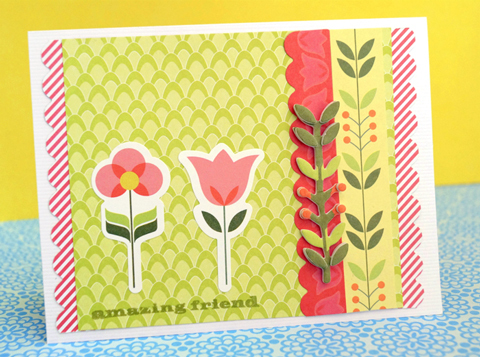 I love keeping a stash of handmade cards on hand so that I'm ready if I need to send one out. This one will be perfect for just that.